After years of profound and often painful soul-searching, psychoanalyst Jeanne Safer made the conscious decision not to have children. She came to terms with a course of action that allowed her to pursue her life in a way that was right for her. 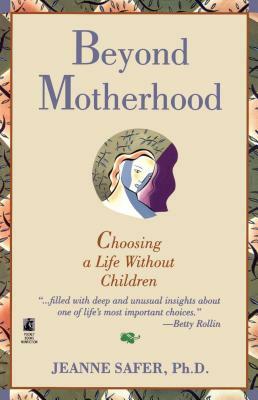 Now, in this wise, compassionate, and deeply personal book, she provides expert guidance for every woman who has ever grappled with the issue of motherhood. In beyond motherhood, Safer and women of all ages from all over the country eloquently share their experiences and offer unique insights into what it really feels like to live this still unconventional life. They describe what factors in their histories, personalities, and circumstances shaped their decision; and how they forged their identities as women without being mothers. They talk with remkable candor about their marriages, their thoughts about aging without offspring, their legacies, and the meaning of their lives. Most compelling of all, they demonstrate how their vitality and passion for life belie any stereotype of childless women as emotionally barren or incomplete. This inspiring book goes beyond the immediate issue of whether to have a child, and offers the essential key to conscious, creative living for every woman, whether she chooses the path to motherhood or not.